Jekyll Island Styled Engagement. Jekyll Island, Ga., is where this styled engagement shoot takes place and it is every bit as bright, fresh, and interesting as the location, itself. With a charming couple and a quiet, secluded dirt path, this scene inspires and leaves a lasting impression. 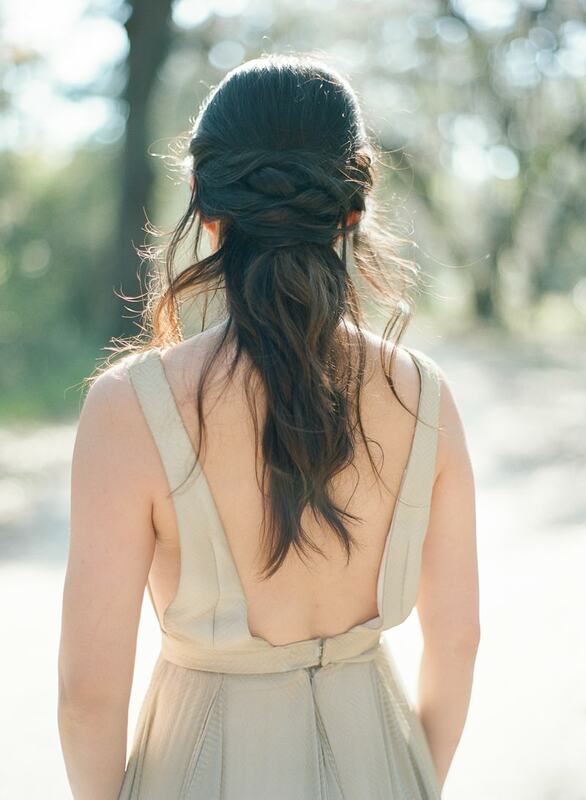 The bride’s style is subdued chic. Up first is a shot of her resting her left hand gently towards her face, cleverly showing off a sparkling ring. Her hair and makeup are styled in way that highlights her natural beauty. She is dressed in a champagne-colored gown with clean lines, a deep V-neck and flowing A-line skirt. It’s the perfect mix of color and fabric for the environment. 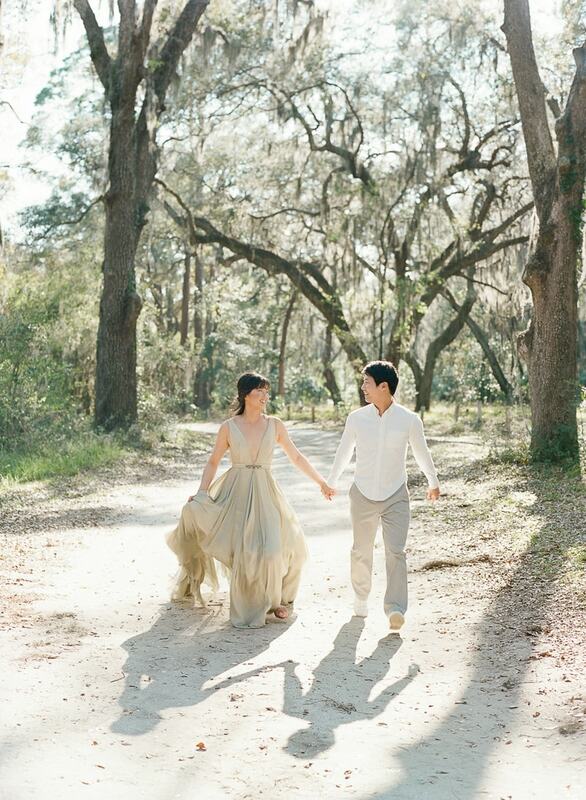 Generous sunshine illuminates the island’s Spanish moss-covered oak trees, creating a clear path for this lively couple. The groom matches his fiancée with a white button down shirt, khaki pants, and white sneakers. 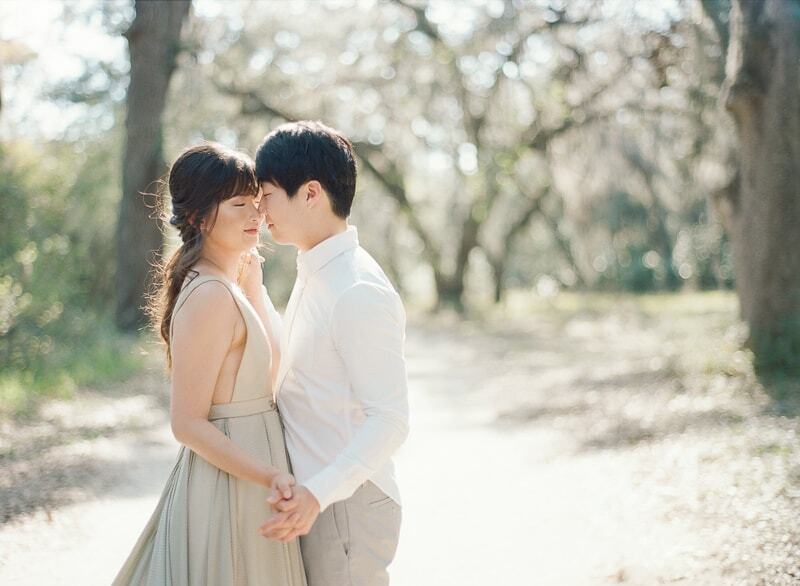 The color scheme for this shoot is soft and natural. The couple seamlessly fit right in to their surroundings and look perfectly at home as they hold hands and close their eyes to share a tender moment. A soft kiss, a gentle embrace, and walking side-by-side are some of the ways this couple conveys their excitement for being engaged. This styled engagement shoot is a glimpse into Jekyll Island life that’s sophisticated, natural, and romantic. Sometimes, you don’t have to be bold or ambitious to craft the perfect engagement session setting. Instead, just be yourself and let the environment set the tone.